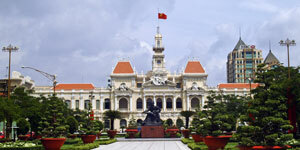 HO CHI MINH CITY, VIETNAM (HOE-chee-men) – April 30 marks the 40th anniversary of the end of the American-Vietnam War. The pain and repercussions of this conflict remain strong for many. 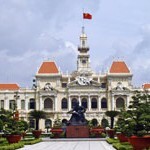 The country and peoples of Vietnam have experienced many changes since that time. Years of difficult rebuilding were followed by a baby boom and rapid economic development. As the peoples of Vietnam celebrate their national holiday, please pray for them. More than 98 percent of the population is lost without faith in Jesus Christ. Pray that God will raise up laborers who will abundantly share the gospel and lead people to Christ. Pray for the discipleship of new believers to swell and for rapidly multiplying churches to be started that will reach the entire country for the glory of God.